This is a menthol-flavored pre-filled tank by Vuse, for use with the Vuse Vibe. Crisp, refreshing and perfectly icy, each Menthol Flavor Pre-filled Tank delivers a blast of cooling menthol tobacco and a wave of freshness. Many Vuse Solo cartridge fans wondered why menthol wasn't a flavor option when the Vibe first came out; manufacturer R.J. Reynolds listened to customers and delivered his popular menthol flavor in a pre-filled tank for the Vibe. 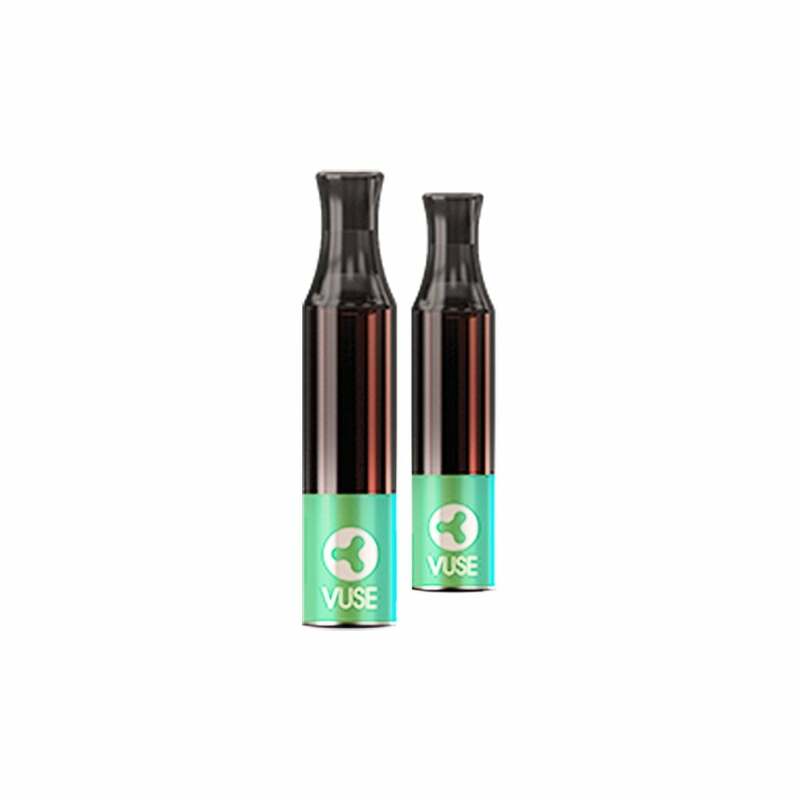 Menthol refill tanks are the most recent addition to the Vuse Vibe product line. The Vibe by Vuse is a convenient and innovatively designed e-cig. It features a handy screw-on system which makes it easy to switch between pre-filled tanks, which come in five flavors including this Menthol option. The menthol flavor leaves a horrible after taste. Doesn't taste like menthol to me. The vibe menthol does not taste anything like menthol. It taste just like original tobacco flavor. Vuse just keeps letting me down first burnt pods constantly with the Alto now this I should just go back to smoking Newports again at least I know that I'll be getting what I want. One tank lasts for several days and the cool refreshing menthol reminds me of the flavor I use to get with menthol cigarettes. I was exited that the VUSE vibe was back but the menthol tanks that I received tasted a little old. Not sure if it was because I ordered menthol instead of the mint that I was used to or if it was old product left over from before the recall of the chargers. I have been looking for something has the taste of Vuse vibe. Without success. Heard they'll be back Octoberish. Please bring the vibe refills back, or at least let us know if/when they're coming...I can't find them anywhere in my area. As a review I love the pen, product, and menthol tank. Great price, no leaking, amazingly good customer service. This is the best menthol flavor on the market. I own 4 batteries and need the refill cartridges. I haven't found any other that I like. I am not asking for the batteries, omly the refill cartridges. The best menthol flavor that I have found in any vaping product! I love love the vibe pre-filled tanks & I don't purchase any other brand. Waiting patiently for the Vibe kits & Tanks to return to the market for all us faithful users! Super fast delivery, great selection and quality products. Will definitely order again! I have Tryed many different vapes this is my favorite so far. Thank you. Only complaint I wish you would put them back in stores for sale. Love it!! Delivery was faster than I've expected. This was the only place that had my tanks in stock and reasonable price. Unable to find anywhere else except for on this website! Thanks.